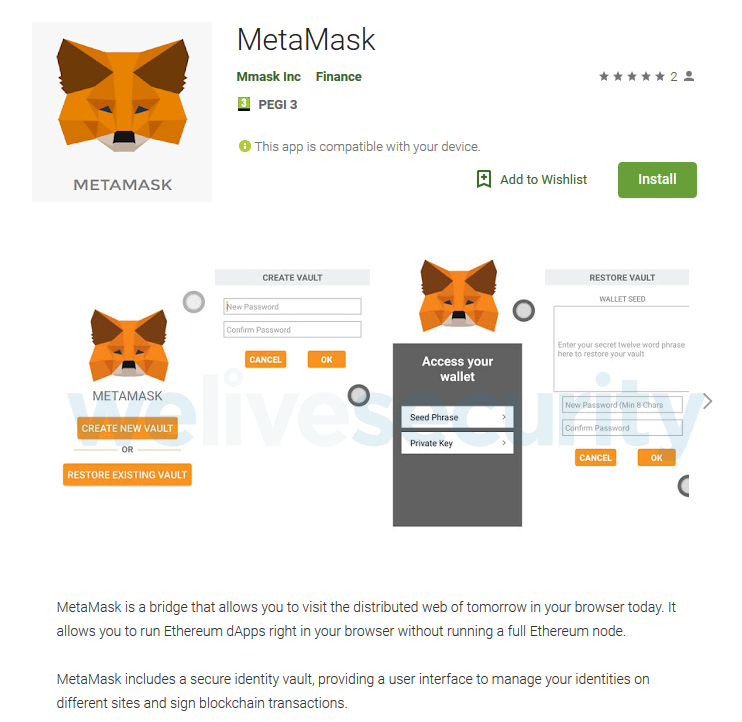 This clipper malware in Google Play mimics a service called MetaMask, which enables browsers to run applications that support virtual currency Ethereum. The main purpose of this malicious piece, called Eset, Android/Clipper.C, is to steal the certificate that can control Ethereum. It can also replace the Bitcoin and Ethereum wallet addresses that are copied to the clipboard with the wallet address belonging to the hacker. Google removed this malicious application.